Create a legally binding New York Bill of Sale with our attorney-drafted template! What Is a New York Bill of Sale? A New York bill of sale is a document that proves an item was part of a legal sale. A New York bill of sale does not need to be notarized. The purpose of a bill of sale is to act as proof of ownership after the sale occurs. Because of this, it is important that both the buyer and the seller keep several copies of the completed document for their records. What Are Some Common Bills of Sale Used in New York? The most common bills of sale used in New York include a general bill of sale, a bill of sale for a motor vehicle, a bill of sale for a boat, and a bill of sale for a gun. How Do I Write a New York Bill of Sale? You can use plain English when you write a New York bill of sale as long as you include the proper information. 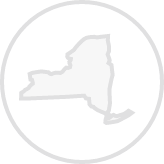 In this section, you'll learn about the information that must be included in any New York bill of sale. Then, you'll learn about how to properly describe items for each of the most commonly used bills of sale. The first piece of information that must be in a New York bill of sale is the date that the document was created. This isn't the only place that a date should be included. 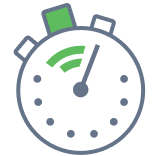 If the buyer will pay for the item on a date that is different than when the bill of sale was created, you'll want to include that date in the area of your bill of sale that discusses the price of the item. The last date you include is the date that both the buyer and the seller sign the document. Next, you'll need to list the legal names and physical addresses of both the buyer and the seller. Then, you'll list a description of the item. You'll learn more about that further down the page. In the terms and conditions of the sale, you'll include the price of the item and whether it's a gift, trade, or sale for money. In New York, you must use a bill of sale even if the item is going to be given as a gift. In the terms and conditions, you will list what must happen for the sale to be successful. For example, if you're accepting a trade, you'd describe the traded item you will receive. If you're accepting money, you'll list the amount in words and then in dollars: one-hundred and fifteen dollars and no cents ($115.00). This is the section where you'd list the date for payment if it is separate from the date the New York bill of sale was created. Finally, a New York bill of sale should be signed and dated by both the buyer and the seller. A New York general bill of sale is used for an item that doesn't meet the definition of a motor vehicle, a boat, or a gun. Common items you'd use this type of bill of sale for are a refrigerator, furniture, and used electronics. When you're preparing to describe the item, look for a make and model, serial number, or registration number for the item. This information is highly beneficial for proof of ownership. You can also describe the item by size, color, or material the item is made from. For example, if you were selling a dining room table, you could list how many individuals can sit around the table, whether it has a leaf, and the material the table is made out of. The New York Department of Motor Vehicles provides Form MV 912 as a bill of sale. This bill of sale requires you to list the year, make, model, and VIN of the motor vehicle. A New York bill of sale for a boat is provided by the New York Department of Motor Vehicles (Form MV 912). The form requests the year, make, model, and Hull ID. You'll notice that there's also a blank spot for terms and conditions. You could use this space to document whether the sale includes a motor or a trailer. A New York bill of sale for a gun should list the make, model, caliber, and serial number. Since many New York gun sales include a trade, remember to describe the gun that will be traded. Is a New York Bill of Sale Required to Register a Motor Vehicle? Yes, a New York bill of sale for a motor vehicle or other proof of ownership is required to register a motor vehicle. According to the New York Department of Motor Vehicles, a motor vehicle given as a gift must also have a bill of sale. You may also need to complete a Registration / Title Application (MV 82) as well. Is a New York Bill of Sale Required to Register a Boat? Yes, a New York bill of sale or other proof of ownership is required to register a boat. You will also need to complete a Statement of Transaction Sale or Gift of Motor Vehicle, ATV, Vessel (Boat), or Snowmobile (Form DTF-802). You must also use a bill of sale if the boat is given as a gift. Is a New York Bill of Sale Required to Register a Gun? No, you do not need a New York bill of sale to register a gun. The gun registration process is handled through an application process which can be found here. 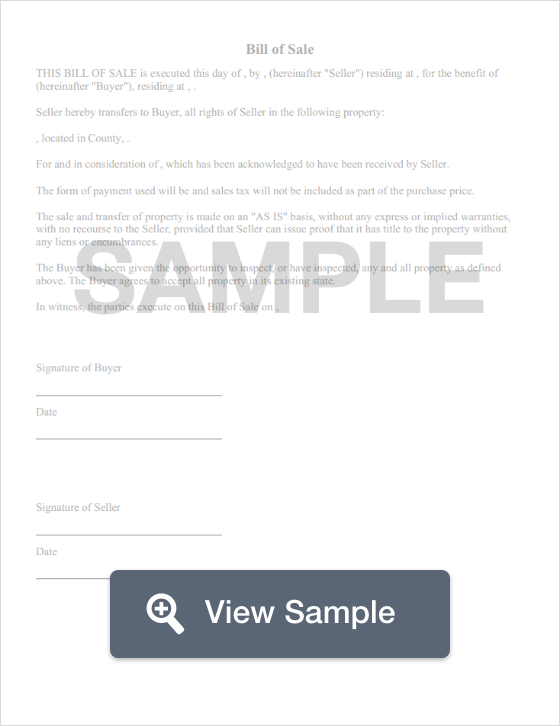 Create a free New York Bill of Sale in minutes with our professional document builder.